Having a native plant garden sure doesn't disappoint. 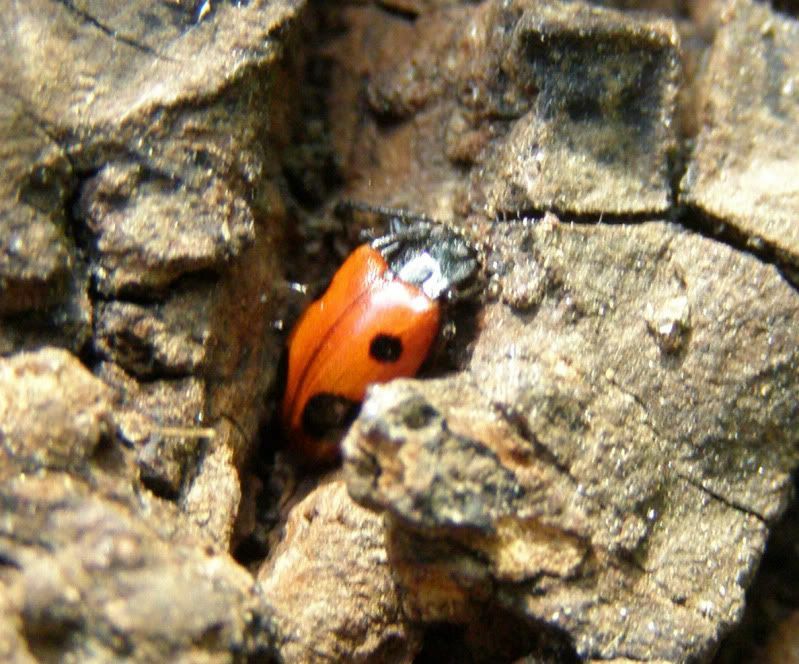 Just as caterpillars need to feed on certain host plants a few beetles are also restricted in their diet. For the most part though it is not well studied, or at least not as well as with Lepidoptera (moths and butterflies.) 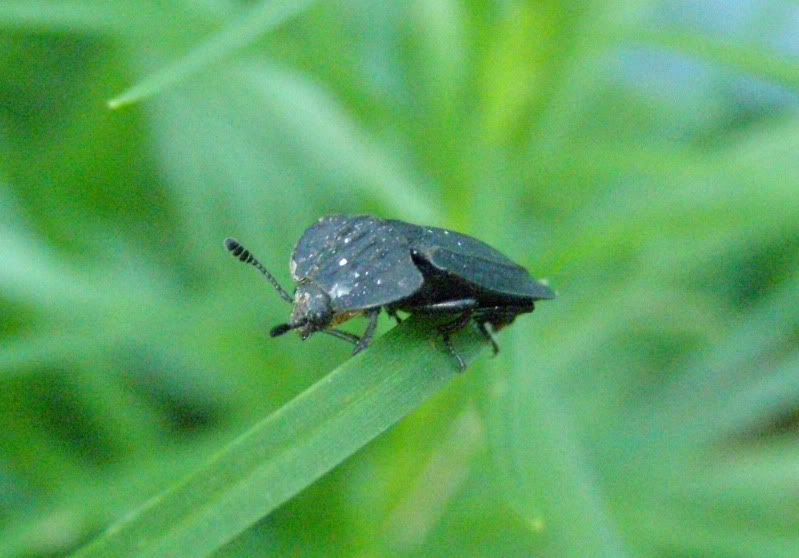 So here are a few beetles I've noticed around the garden. Bare in mind that I know almost nothing about most of them. This was on a Coreopsis, a.k.a. 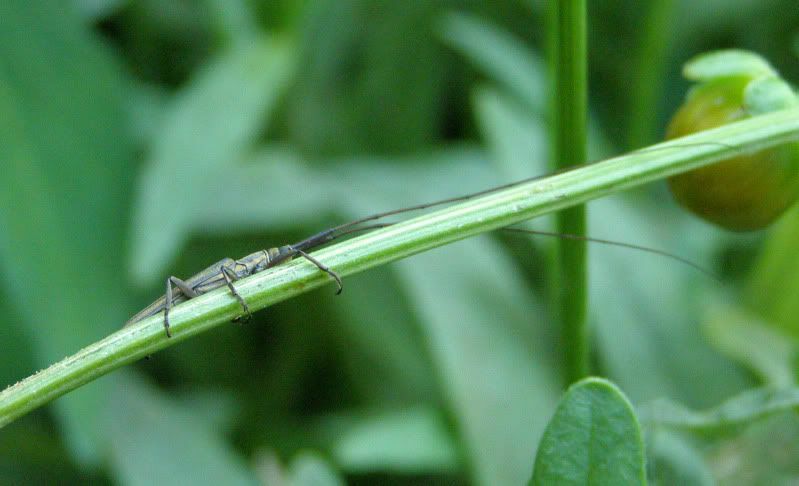 tickseed, and it's antenna are twice as long as it's body. What I think is Rhodobaenus tredecimpunctatus. 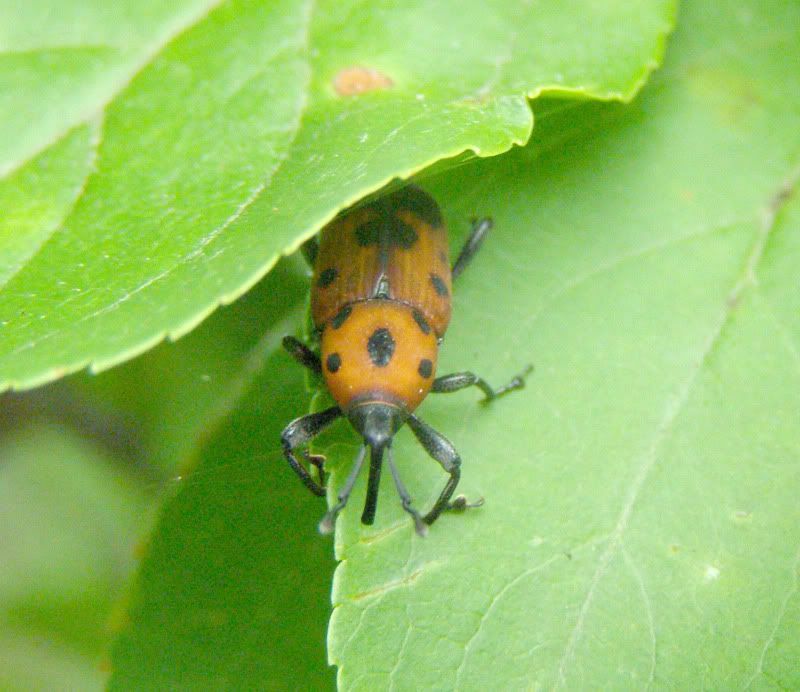 I found it on our crabapple tree, but apparently it either feeds on, or mates around, Ironweed, Joe Pye Weed, Ragweed, and whatever cocklebur is. Three of these I have planted in the yard. No not a lady bug but most likely Endomychus biguttatus thanks to the folks at BugGuide.net and apparently they feed on fungi. And sure enough I found this beetle around some rotting wood I keep out in the yard. I actually have quite a lot of it. This was on a grass I have in the garden. Lots of hyssop, coneflowers, and milkweed around. I think it's a stink bug or related to them. Nothing ferther to say about it. Another unknown beetle. 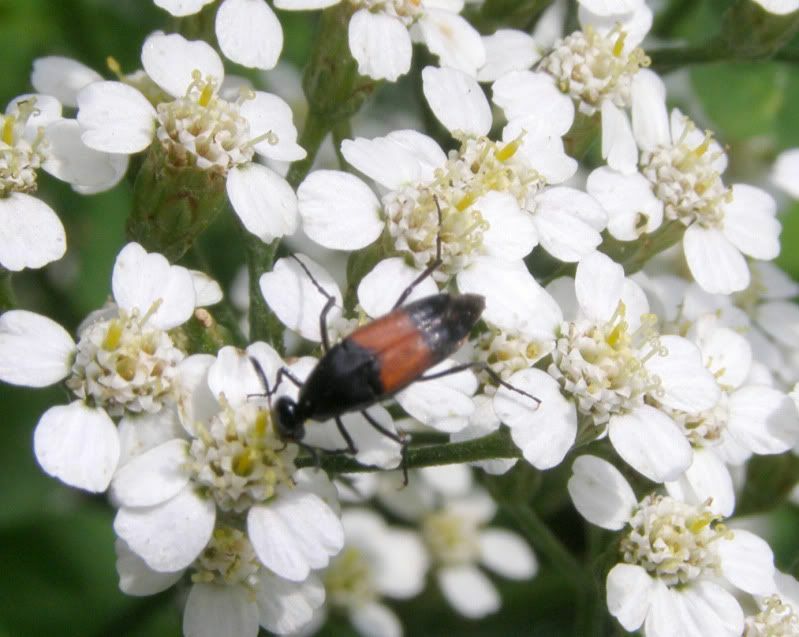 This was on the yarrow we have by our pond. It reminds me of something that might be aquatic.